At the top of my road where I grew up — there is a toy shop. My Mum would sometimes take me there on the walk back from school, and very occasionally, I would be allowed to pick out a small piece of Playmobil. The top shelf of the Playmobil section was reserved for the larger pieces, ships, cars and houses. Every time I walked into the store, I would see this pink box that contained a Victorian-style Playmobil mansion. I fell in love with it, and Mum explained that it was very expensive and would be reserved for a special occasion, and possibly even a combined Christmas and Birthday present. Every time I visited the store, I would look up at the pink box shining back at me. Imagining the scenario of one day being able to open the box and be the owner of this beautiful plastic mansion. This went on for months and months. My birthday is in September, and I got a small present for my birthday and the Playmobil mansion that Christmas. 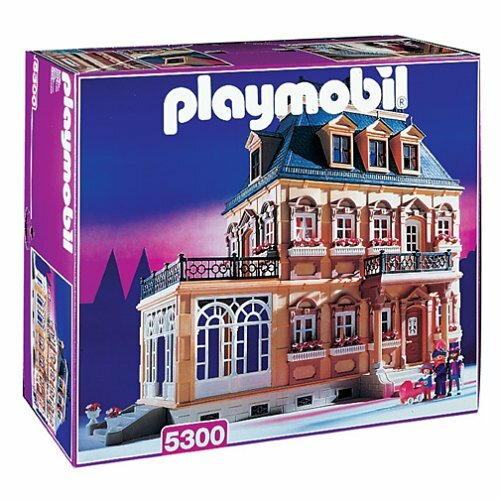 I remember being so excited that Christmas, at even just the prospect of possibly getting the Playmobil mansion, that I barely slept. As the sun came up, I watched until the clock ticked to 7am (my curfew wake-up time on Chrismas Day) and ran down the stairs to be greeted by the plastic epiphany that was ‘The Mansion’. Mum and Dad had stayed up into the small hours, putting it all together for me, which was no mean feat — especially for Dad who would work a 14 hour day, every day, in the run up to Christmas. I’m sure every one of you can think back to a scenario just like mine, whether it was a bike, a toy, or special game you wanted. That deep longing and endless days that would seemingly tick by, before you could add the coveted item to your toy inventory. I realised, I had been carrying around the same feeling. The exact same feeling of wanting something so badly, you would wait any amount of time in order for it to come to fruition. It’s taken me a while to realise I’ve been bargaining with myself. “Would I sell everything I owned, to be able to speak to my Mum for just five minutes?” the answer is always a resounding yes. I then go through the emotions of the anticipation, the feeling of excitement and wonder, until I realise that feeling is never going to be fulfilled. I’m never going to run down the stairs and find her standing there. I still can’t quite grasp that, and it’s been almost two years. I realised that whenever I get something of value, I ask myself whether I would sell it, and everything I had on me, to be able to speak to her. Almost as a way of still justifying her value in my life. The answer never changes. Worse still, I would work every day of my life earning nothing, happily, if the promise was on my last working day, I got to speak to her. That’s quite a weight to be carrying around daily. The plastic mansion still sits in my family home. Dusty and abandoned, but still very much standing. Waiting to be resurrected one day. The irony of that isn’t lost on me.